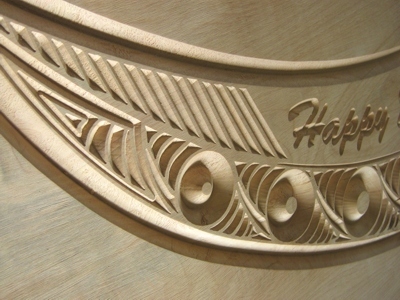 Computer controlled perfection- Our CNC router achieves a perfect product every time. 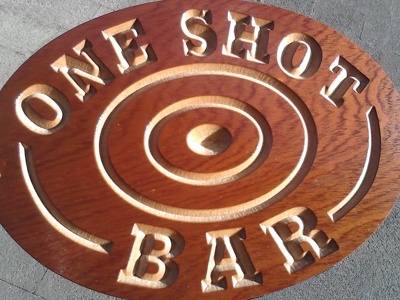 We can carve an unlimited range of fonts and simple images into rustic macrocarpa slabs, pine planks and other wood substrates such as plywood and MDF. 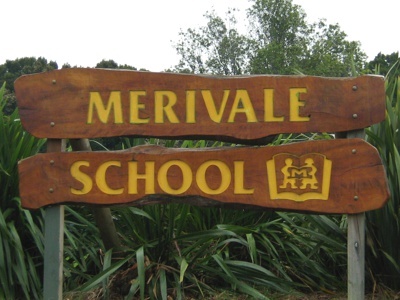 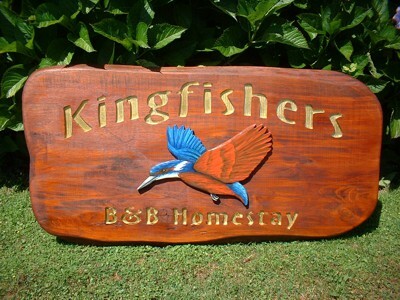 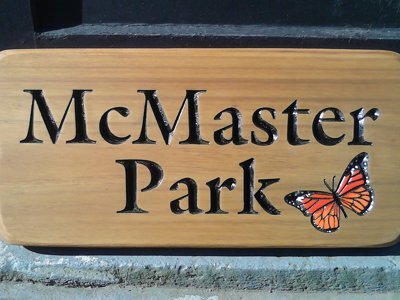 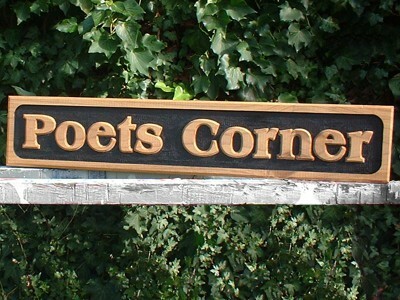 Engraved timber signs give a unique natural look for lifestyle blocks, sub-divisions, farms, schools and parks. 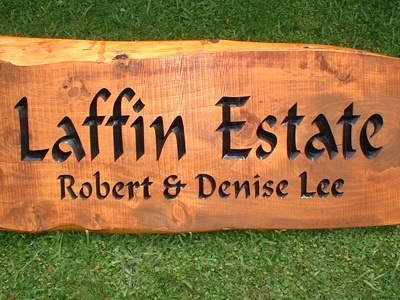 They also make a great gift idea to commemorate a special occasion or decorate the much loved man-cave. 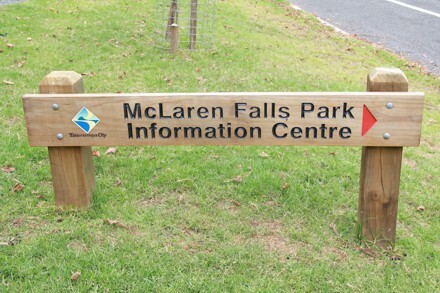 Environmentally friendly- Solid timber signs are the most durable and environmentally friendly form of signage lasting for many years. 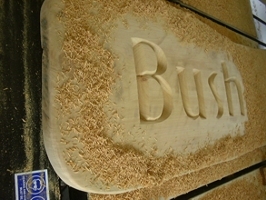 Any graffiti can simply be sanded off. 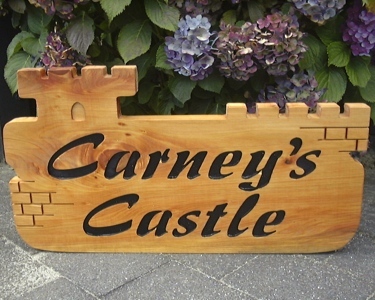 Once the signs do start to age it just adds to their character, or alternatively a fresh coat of oil stain has them looking brand new again. 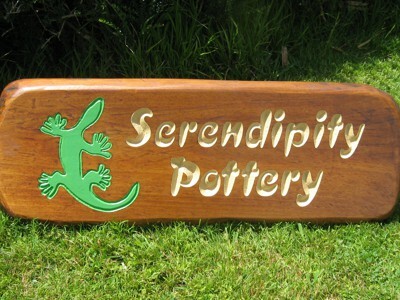 Your design or ours- We’re happy to create an eye catching design to meet your requirements or work with your ideas and files. 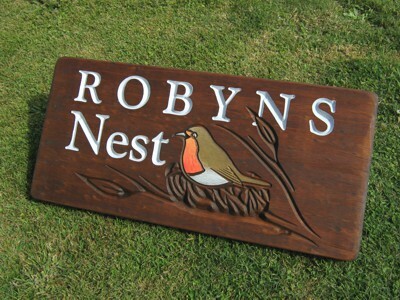 Our carved timber work has included everything from 5m long park signs to detailed inlays for the table tops of super yachts, but we get just as much pleasure from making simple garden signs that celebrate a wedding anniversary or a favourite poem. 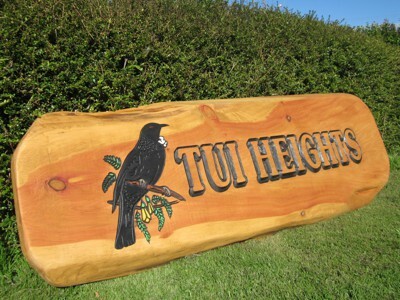 Pickup or delivery- Installation services are available for signs in Tauranga and the wider Bay of Plenty, or we can arrange freight throughout NZ. 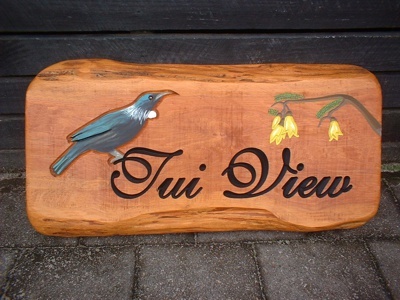 Timber signs are more affordable than you might think and we offer a fast turnaround on standard orders. 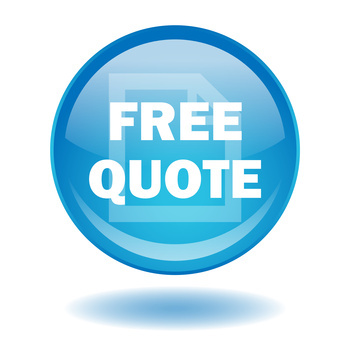 Contact us for friendly advice and a free quote.